Beautiful luxury stone built period cottage perfectly located in the heart of Stanhope Village close to all local amenities. Stanhope is an ideal location within the picturesque Durham Dales and is known as the gateway to stunning Weardale & the fabulous North Pennines in Northumberland. 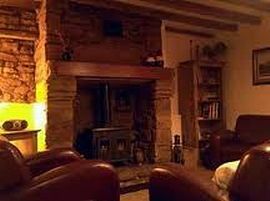 Lounge with beamed ceiling natural wood floor,cosy inglenook fireplace, cosy cottage style suite TV, DVD, Antiques, curios & Bric-a-Brac. Dining Kitchen with beamed ceiling large inglenook fireplace with wood burning style stove, county style dining table, fully equipped kitchen with range cooker, fridge freezer dishwasher, washing machine, microwave & all cutlery crockery & cooking utensils. Sun porch with coffee table & chairs. Bathroom with authentic Victorian style bathroom suite & shower, natural wood floor, curios & antiques. Bedroom 1 with kingsize brass bed, recessed dressing table area, large wardrobe, bedside cabinets, antiques, curios & bric-a-brac. Bedroom 2 with twin brass beds, antique pine dressing table, wardrobe bedside cabinets, antiques, bric-a-brac & curios. 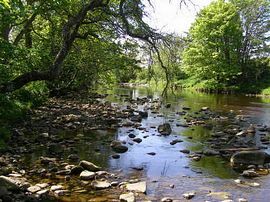 There are hundreds of things to do within Stanhope & the surrounding areas of County Durham, Weardale, Teesdale, North Pennines, & Northumberland. As well as slightly further afield in Cumbria & the lake District, North Yorkshire, & Newcastle Tyne & Wear. Low Season: £14.00 per person per night. Mid Season: £16.00 per person per night. High Season: £18.00 per person per night. Bank Holidays: £21.00 per person per night.